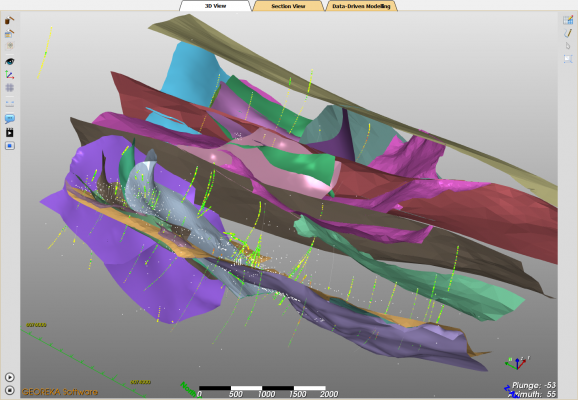 Fault modelling in GEOREKA software is done by representing faults as surfaces. Similar to other boundaries, faults can be used to define domains. 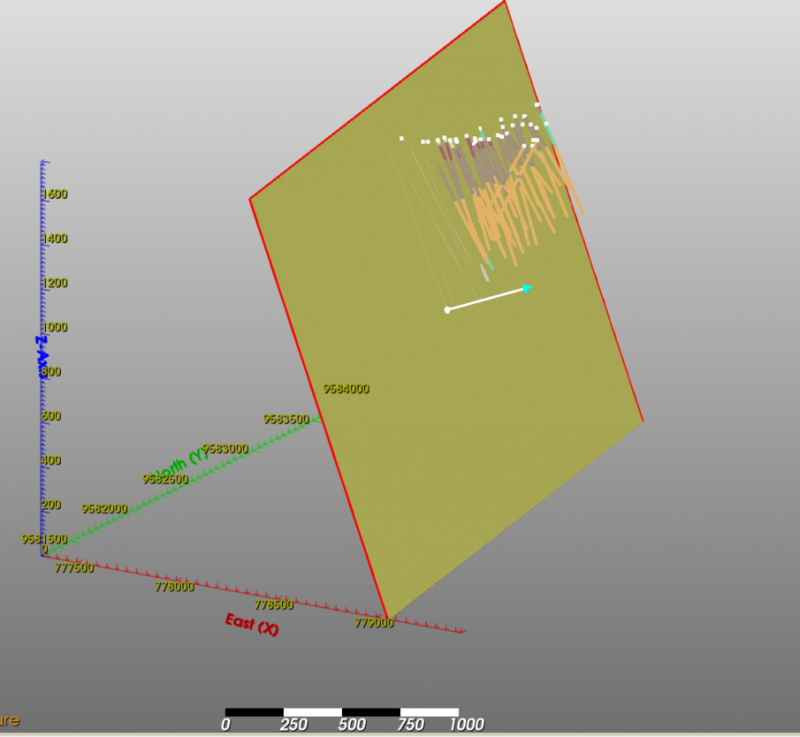 Create faults from drill samples, digitizing, extrusion or a simple flat plane from the section plane directly. Faults can be modelled in a large variety of ways. GEOREKA offers various options. Which one to choose greatly depends on the available data. Here we highlight some options. 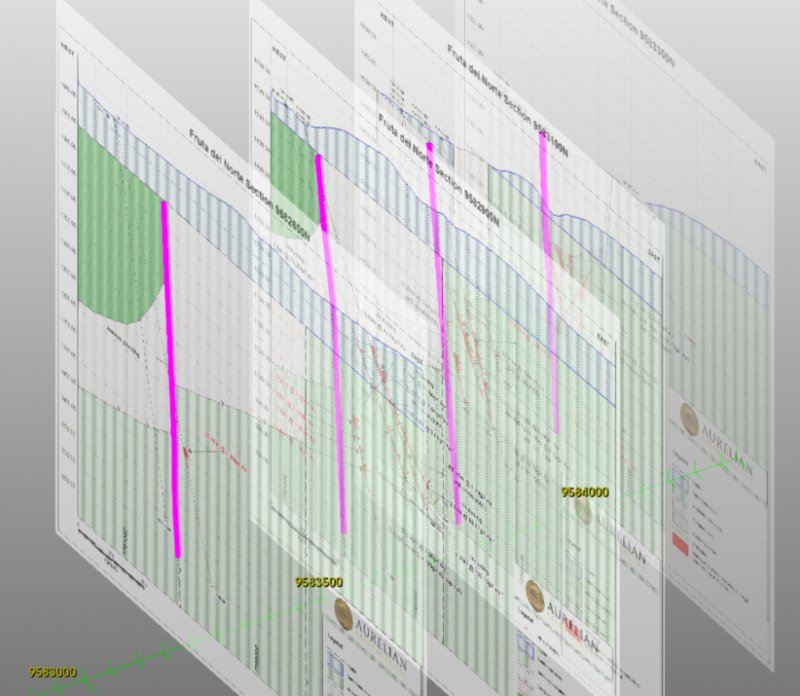 The most simplistic method for fault modelling is by a simple flat plane. 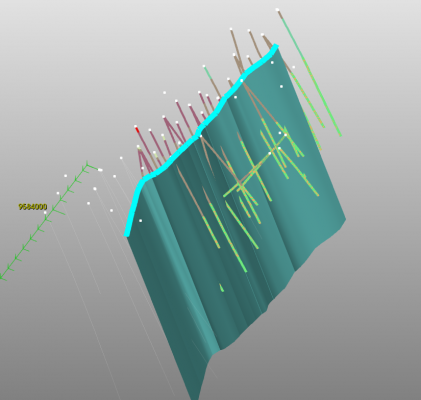 In GEOREKA simple planar faults can be generate directly from the section tool that also acts as the slicing plane. By setting a dip and azimuth the inferred fault can be quickly created. 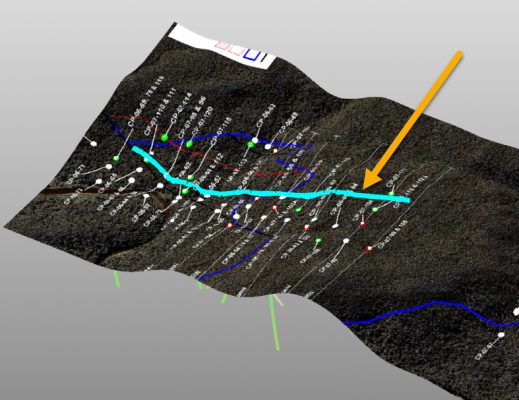 A slightly more sophisticated way for fault modelling is by extruding a polyline drawn on sections or on a map. Imported GIS shapes or polylines can be used or the fault trace can be digitised in GEOREKA before extruding the fault surface. In some cases it might be needed to digitise the fault. 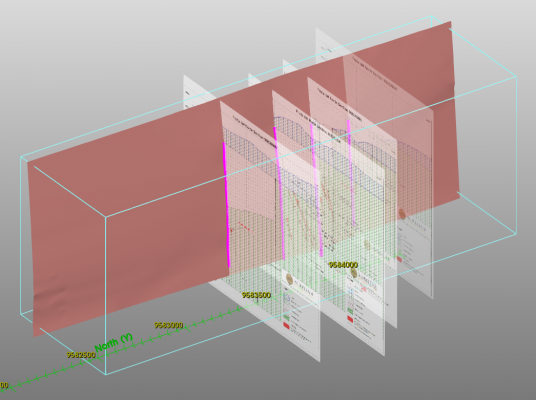 For example, if existing interpretations on sections exist, that information can be used to define a fault by digitising the sections to create a 3D representation. 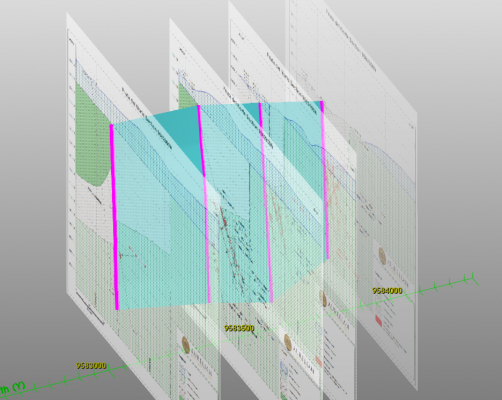 If the lithology logs contain information about faults or data is available in other point data formats the fault surfaces can also be created implicitly. This method will make a best guess of the surface orientation to construct the surface while honouring the input points. This method can also be applied to digitised polylines and GIS shapes. The result in those cases will always be a surface that extents to the model boundary. If the project involves multiple faults that intersect, terminate or consist of multiple parts, that can be achieved by selectively clipping one fault against another and selecting or merging parts. The possibilities are almost endless.